October 3, 2017 – Atlanta, GA and Toronto, ON – Bluefin Payment Systems, the leading provider of PCI-validated Point-to-Point Encryption (P2PE) solutions for education, healthcare and enterprises, today announced a partnership with ITC Systems to provide Bluefin’s PCI-validated P2PE solution to companies and organizations using ITC’s cash card management systems. ITC Systems designs, develops and implements state-of-the-art cashless transactions systems for university campuses, academic and public libraries, government departments, food service environments and other closed institutional settings. Since its founding in 1989, ITC has manufactured over 60,000 cashless terminals and sold in excess of 25,000,000 cards with over 1 billion transactions, making the company a leader in the cashless transaction industry. 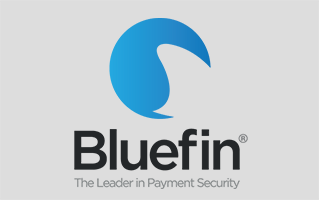 Through the partnership with Bluefin, ITC Systems will provide companies and organizations utilizing their systems with Bluefin’s PCI-validated P2PE solution directly through their platform, enhancing payment security and reducing PCI scope with no change to the payment transaction flow. Bluefin enables PCI-validated P2PE on partner platforms with their Decryptx Decryption as a Service (DaaS) product, which allows gateways, applications, and processors to directly connect to Bluefin for the P2PE service. Benefits of a PCI-validated P2PE solution for merchants and enterprises include reduced PCI compliance and scope, saving time and money on annual audits, and the assurance that the technology has been vetted and approved by the PCI Security Standards Council (SSC). A white paper on the cost and scope benefits of PCI-validated P2PE is available for download on https://www.bluefin.com/.